Print in a full range of colors using cyan, magenta, yellow, and black. 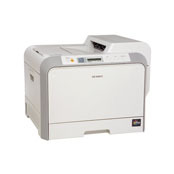 The Standard 250-sheet input tray (Tray1) and optional 500-sheet input tray (Tray2) supports A4/letter-sized paper. 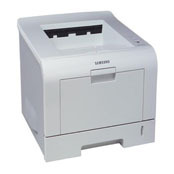 Upgrade your work performance to the high-speed crisp image quality of the Samsung SF-560 laser MFP. 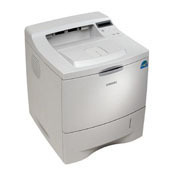 The SF-560 is not only competitively priced, they also have built-in features to save you money. 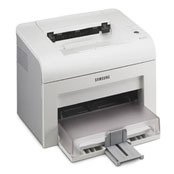 Up to 25 ppm laser quality, 64-192 MB expandable memory, up to 1200 dpi effective resolution, multi-purpose tray holds 8.5 and 8.5 x.14 paper. Up to 22 ppm, 1200 x 600 dpi effective output, 8 MB ram, usb1&2 compatible, media size is 3 x 5 - 8.5 x 14", plain paper, transparencies, envelopes, labels and card stock. 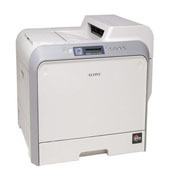 Stylish, compact is ideal for desktop and front office locations, up to 22 ppm, resolution up to 1200 x 1200 dpi, low cost per page, fast USB 2.0 and parallel connectivity, available wireless and Mac-compatible models.